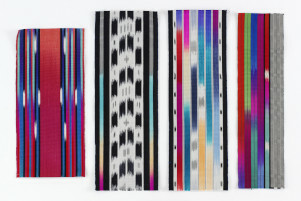 IKAT Sample, Mary Restieaux, c.1980, © Mary Restieaux. Crafts Council Collection: HC511. Photo: Relic Imaging Ltd.